SHOCK news; there's still life in diesel engines despite the avalanche of dirty words aimed at them recently. Yes, sales of diesel cars are distinctly down as electrical power creeps more strongly into the motoring world but for some people filling up at the smelly pump still makes sense. 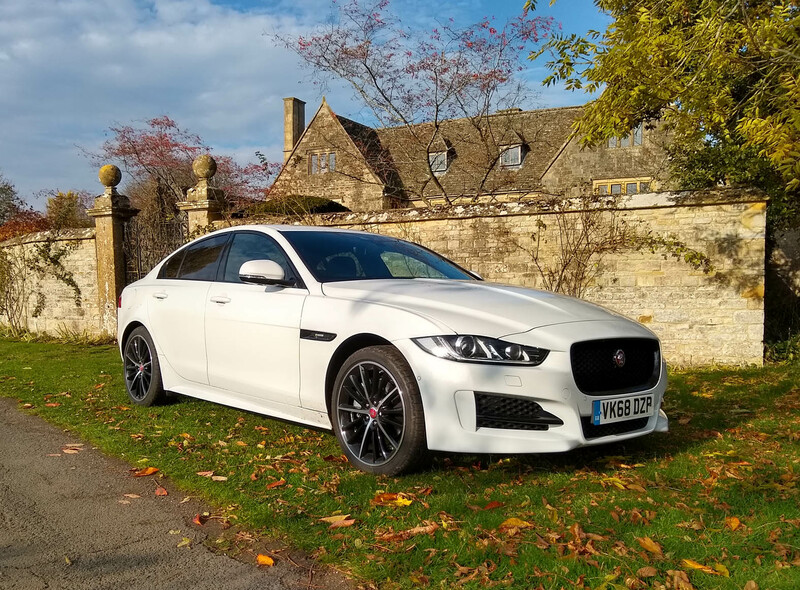 People like the drivers of Jaguar's smallest saloon, especially those who use their XE as a mobile office as they pile on the business miles. To them the prospect of approaching 50mpg between pleasantly occasional tank fills makes every Monday morning seem bathed in optimistic sunshine. 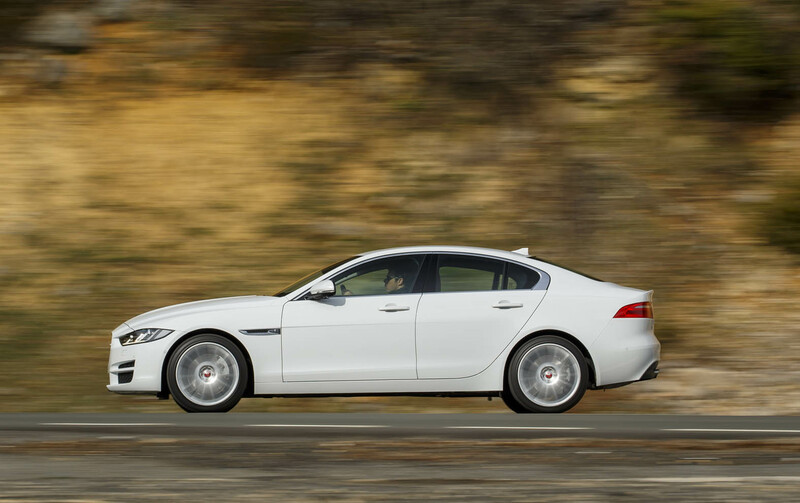 Which may account for a recent levelling out of Jaguar XE buyers' flight to petrol versions as diesel stages something of an eleventh hour comeback. 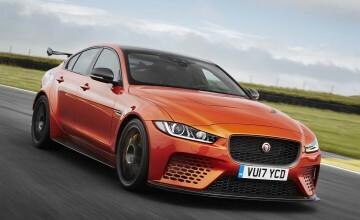 It doesn't take long to appreciate the long legged attraction of a diesel XE as it rides the meanest of meanest UK streets with the sort of aplomb denied too many junior executive expresses with their over-firm springing. 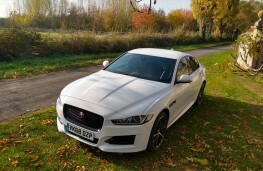 Add to suppleness of the Jaguar's suspension the relaxed verve of a punchy 180 horsepower diesel engine and the basics are pretty much taken care of. What's been missing, though, is much sense of occasion as you open the XE's door and slip behind the wheel. From the off the cars were a bit too much plastic and not enough panache. 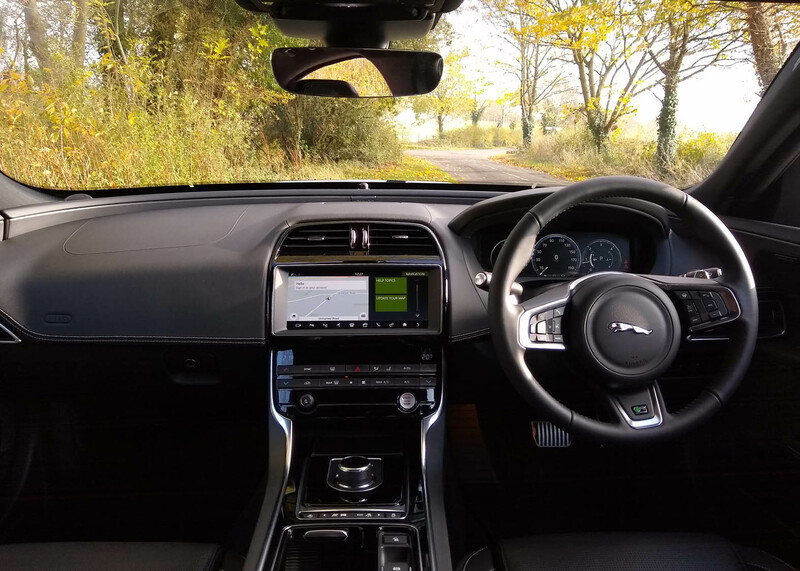 Well, in a minor revamp, the XE's cabin now feels usefully more upmarket thanks to newly acquired metal treadplates, chrome seat switches for all electric seats, plusher carpet mats, bright metal pedals and a rather cool looking frameless interior mirror that dims automatically. 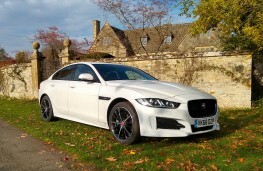 It doesn't magically lift the interior to the heights of, say, a Mercedes-Benz C-Class but tied in with a 10-inch central touchscreen now fitted on all XE models for extra clarity it means the Coventry cat has added charms. 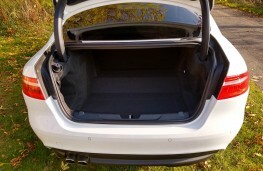 Opt for a Sport version and the outside looks, well, sportier thanks to chunkier front bumper, extended side sills, boot lid spoiler and 18in alloy wheels. That diesel engine (in this case a 180 horsepower version) still grumbles a bit even when warmed through but there's no denying its satisfying performance, with 140mph and 0-62mph in 8.4 seconds on tap via a smooth changing eight-speed automatic transmission. 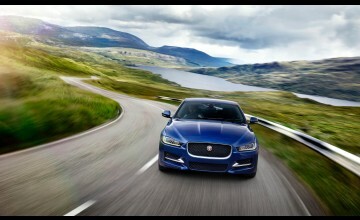 Add in carbon dioxide emissions of 144g/km and this version of the gently reworked XE makes a sound business case. 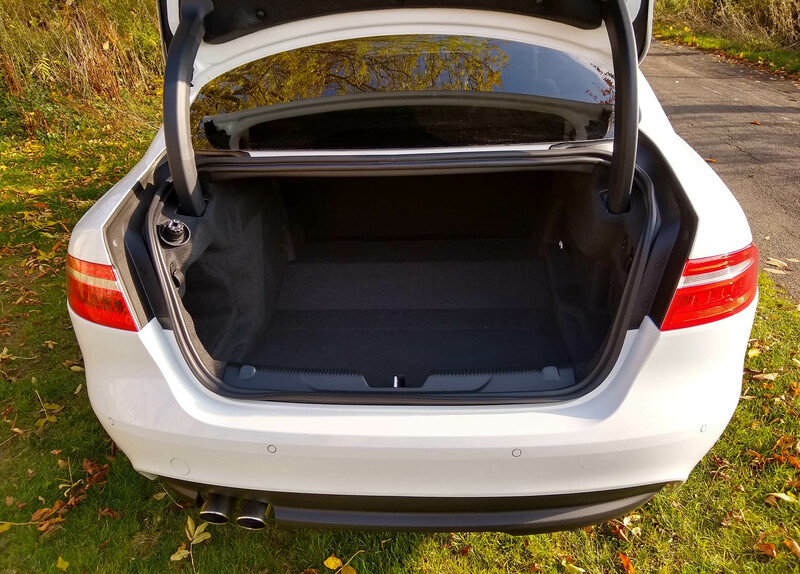 There's a bonus on the bottom line in the shape of a Fuji white paint option that comes without adding to the car's cost; you'd be surprises how many car makers now offer but a single no cost paint choice and make even that a dowdy hue. 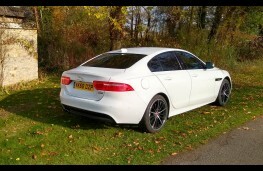 This Jag looks good - for nothing extra on top of the £38,615 price for this R-Sport version. But even if you think it looks smart outside and (now) usefully smarter inside, this is a car that simply begs to be driven. 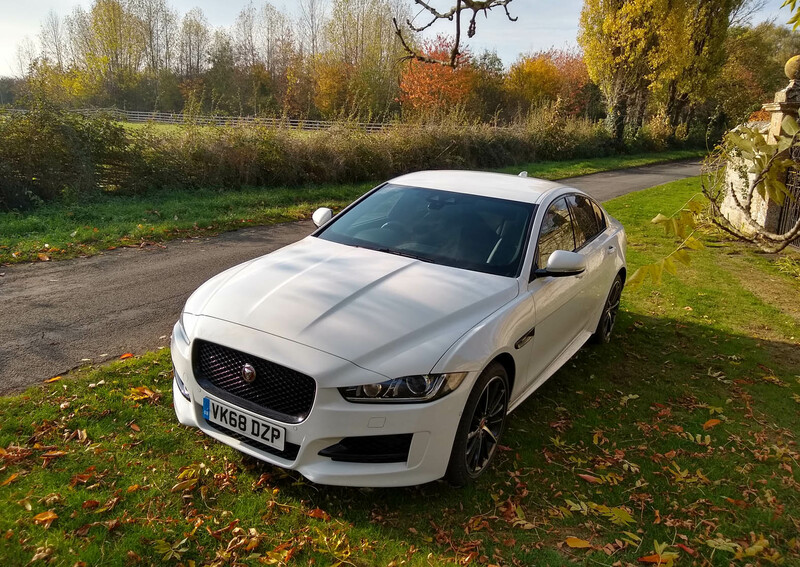 Developed to smooth our challenging road surfaces, the XE feels utterly at home on the sort of road that would have a German engineer wide eyed in disbelief. 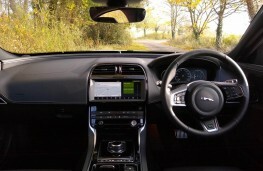 Away from the car's dynamic attributes the substantial asking prices means a pile of goodies as standard, from two-zone climate control and xenon headlights to grained leather seats and a pro-standard navigation system. 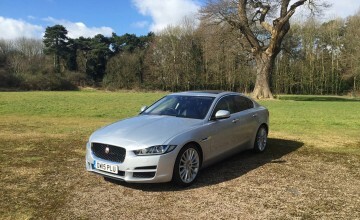 But it's the way the XE drives that takes star billing.